Is buckthorn in your yard? Buckthorn is designated as a restricted noxious weed in Minnesota. It's illegal to import, sell, or transport common or European buckthorn (Rhamnus cathartica) or glossy or alder buckthorn (Frangula alnus) in this state. However, it is may be legally available for sale in some states. DO NOT BUY IT! Details on how you can control buckthorn on your property. 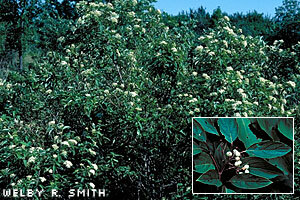 Several species of native trees and shrubs display characteristics similar to buckthorn. The following plants are an example of some of the environmentally-friendly species available at garden centers and nurseries. Note: The plants shown below are just a sampling of alternatives. Many others may be available. Restore Your Shore may help you to find the right plant for your location. This multistemmed bush has lovely spring flowers and persistent red berries. Left unpruned, it will grow tall, but it can be pruned into a dense hedge. 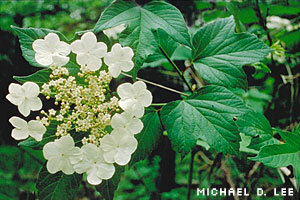 The European species (Viburnum opulus) is often sold in nurseries, but is invasive, and should be avoided. 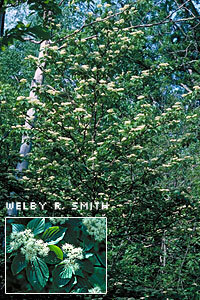 Nannyberry is a tall shrub that grows in a variety of soils. It spreads gradually from a central clump, forming nicely shaped thickets. It has sweet, edible, blue-black fruits. 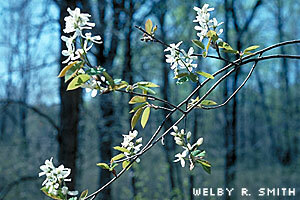 A common shrub throughout our region. 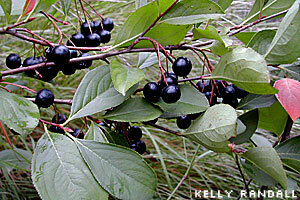 Chokecherry grows in a variety of soil types. It develops into a tall shrub on rich, loam soils. On dry, sandy soil, it takes on a shorter, bushier form. The bright berries are too bitter for people to eat, but they make a delicious jelly and are an important wildlife food. Commonly forms thickets at wetland margins, woods edges, steam banks, low spots in prairies and savannas, and along roadsides and abandoned fields. It tolerates a variety of soil types. Good for filling slopes or edges. Native to rich, deciduous forest but is also commonly planted as a small ornamental tree. It prefers rich, loam soil where the rooting area is protected from summer heat or drought. Branches spread in horizontal layers giving the tree a beautiful form. A widespread shrub in dry to moist forests and woodlands. It grows in a variety of soil types and tolerates dry, sandy soil or gravelly slopes. In the open, it sends up many stems forming clumps Great food and cover for wildlife. 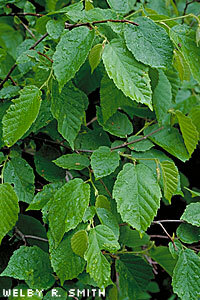 Also known as blue beech, this small tree grows in rich, deciduous forests beneath a canopy of taller trees. It can have single or multiple trunks. The graceful layering of overhead branches develops best in openings-such as along a woodland path-where the smooth, muscle-like bark can be seen. Typically grows at the margins of lakes and wetlands-places where the soil is fairly rich and moist, and where it can get partial sun. It is colonial, but not aggressive. 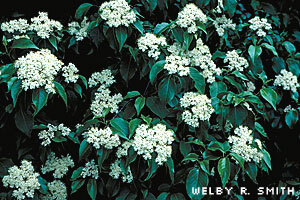 It has attractive white flowers in early summer, and shiny black berries with lovely red foliage in the autumn. 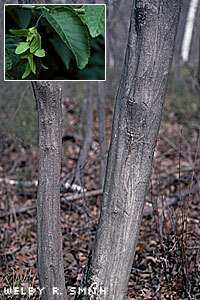 A small, slender tree that often grows in oak forests, and in mixed pine-hardwood forests. The new leaves are bronze colored in the spring, but turn dark green by summer. 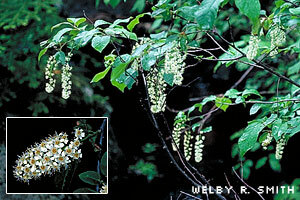 The showy flowers are followed by edible fruit, resembling blueberries. A beautiful landscape plant.